The first ever Global Spin Awards have been launched to honour the best DJs in the world, and alongside Grandmaster Ready D, another DJ has also been nominated. 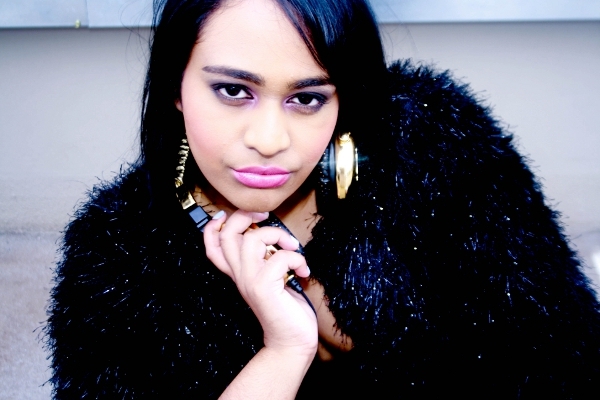 Indian female club DJ and rapper, Deshnie Govender AKA Roxxi will be jetting off to New York to represent SA. Question is – why we ain’t heard of her until now? Either way, Roxxi has been in the DJ-ing scene for five years, performing at events such as 5FM’s New Years Eve bash, NYE (G&G Balito in association with 5FM), Miller DBN July, Akon’s Convict Tour after-party and at Axe Jet’s Campaign to Ibiza. “The Global Spin awards come at a perfect time.The DJ-ing industry has grown more women are taking interest. Not only am I representing South African women but Indian women globally. I’m so honored to be nominated in the first running of these awards. This shows that my talents have been noticed beyond the borders of Africa”, says Roxxi. The Global Spin Awards have been created to award and honor the world’s most dynamic DJs who have impacted diverse audiences globally and across genres. From the influential DJ pioneers and innovators, to the trendsetters and entrepreneurs; elite DJs across the globe will be recognized and honored, amongst their peers and other industry professionals for their contribution to the entertainment industry and the ever expanding DJ Culture. Jimmy Jat from Nigeria is also nominated and other DJs include Nicki Minaj’s DJ – Diamond Kutz and DJ Kay SLY.